These grills are listed A-Z from top to bottom. These dampers are made for Pattern Cut Grills only. This item is considered Special Order, Non-Returnable and cannot be canceled once placed. These decorative round grills can be used on the wall or ceiling but are not recommended for floor use. The wood return air grilles come unfinished, making them ready to stain or paint to match your decor. These items are considered Special Order, Non-Returnable and cannot be canceled once placed. 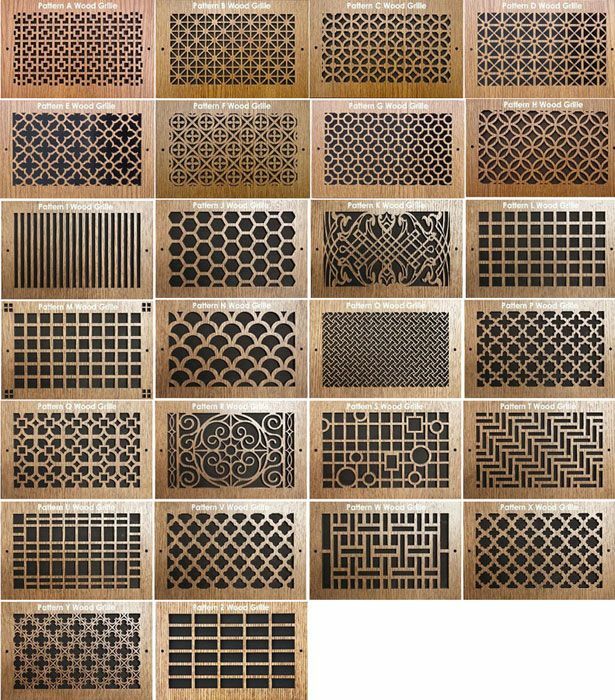 Pattern Cut wood grilles are perfect for your walls. These are beautiful laser cut baltic hardwood designs. These items are considered Special Order, Non-Returnable and cannot be canceled once placed.